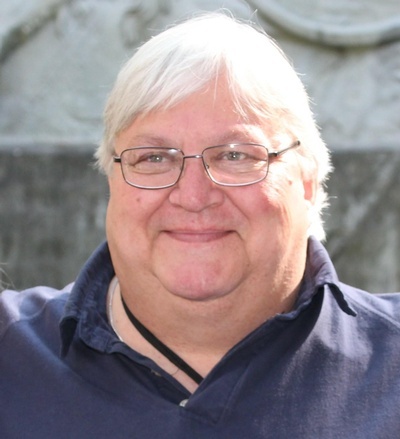 Kenneth T. 'Kent' Bjork Northfield—Kenneth T. 'Kent' Bjork, 57, a long-time employee of Lake Region State College, passed away at his home Thursday morning, March 28, 2019. Funeral services for Kent were held on Tuesday, April 2 at 5:30 p.m. at the Gilbertson Funeral Home, Devils Lake, ND, with Reverend Paul Gunderson officicating. Kenneth Theodore, son of Kennth O. and Thora (Berg) Bjork, was born on April 23, 1961, in Minneapolis, Minn. Kent grew up in Northfield and attended public schools there, graduating from Northfield High School in 1978. He studied Hospitality Management at the University of MN, Crookston, completing his degree there. He got his start in the restaurant business at a 5-star restaurant in Northfield where he was known as 'Boy Wonder' for his 'can-do' attitude and broad range of skills. He worked in a variety of restaurants in cities including Minneapolis, St. Paul, New York and Devils Lake. Kenneth has been employed at Lake Region State College for the past 15 years working in the Food Service Department. Kent was an essential part of the Lake Region State College Dining Services. He always had a cheerful hello and smile for the students, faculty and staff. In 2013, Kenneth was the first recipient of the Staff Member of the Year Award for his caring personality, a tradition that was started by the Student Senate in 2013. In 2017, Kent chaperoned a 10 day study abroad trip to Germany, Italy and Switzerland. We say good-bye to a dear brother, friend and colleague and we will keep him in our thoughts and prayers always. He had a great sense of humor and loved to laugh and lifted many people's spirits with a funny joke or story. Kent is survived by brothers Herum (Anna Lee) Bjork of Sacramento, CA, Mark (Nancy) Bjork of Minneapolis, MN, Jon Bjork of Northfield, MN, Arne Bjork of Cannon Falls MN and a sister Ellen Cox of Northfield MN and many nieces and nephews. Kent was preceded in death by his parents.